The InnJoo smartphone manufacturer have realized the huge mistake made on their former Leap series and thereby designing the Leap 4 to have cellular functionality. The InnJoo Leap 4 gives support for a single SIM slot. The differences between this device and other Leap series are not that much. The InnJoo Leap 4 is lighter and it gives support to cellular connectivity. The device comes with 8-inch 1280 x 800 pixels resolution IPS display, powered by an Intel BayTrail T-CR Z3735F Quad core with Intel HD graphics paired with 1GB of RAM and 16GB space of internal storage with room for a microSD card slot which can be upgradable up to 64GB on microSD card. It features a 5MP back camera with a 2MP front facing camera. Other connectivity options on the device includes – micro USB 2.0, Wi-Fi 802.11 b/g/n, Bluetooth 4.0, mini HDMI, GPS, USB OTG and 3G connectivity. The tablet does not come with Light sensor, Proximity sensor but has Gravity sensor. The InnJoo Leap 4 measures 210mm x 123mm x 8.9mm in dimensions, weighs 361 grams and Microsoft has thrown in Skype and Office. It runs on Windows 8.1 OS (upgradable to Windows 10 OS when it arrives) and is backed by a 4500mAh polymer battery. 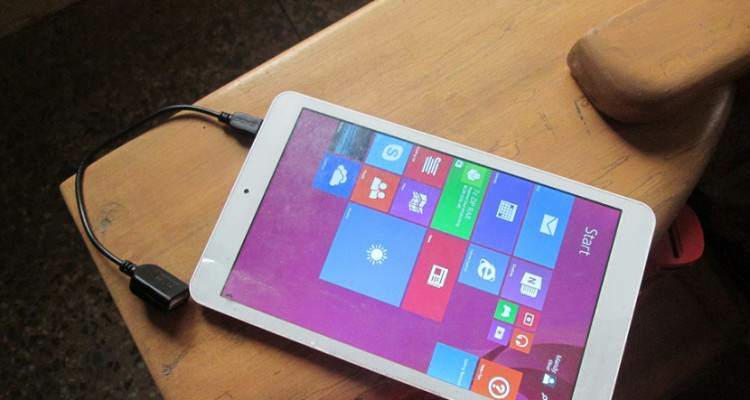 Like other Innjoo products in Nigeria, the Leap 4 is expected to land on Jumia. The price of the InnJoo Leap 4 is expected to range from N25,000 – N30,000 in Nigeria depending on your purchasing location. Asides Nigeria; Saudi Arabia (KSA), UAE and Egypt should also get the tablet too.